"I’ve used Cubase since I had it on Atari (MIDI only) in 1996, before computer audio was even possible. Still using it today, I’ve never looked back." 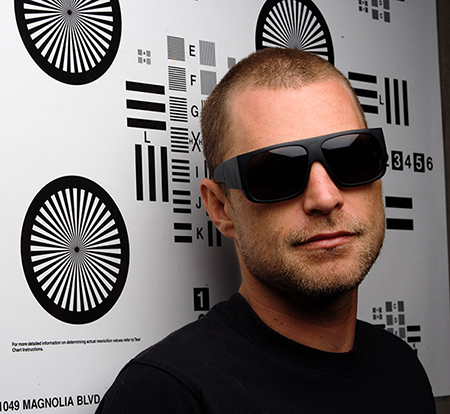 Producing since the mid-nineties, Sydney based Ashley Anderson initially recorded under the moniker of Moonrock, releasing a self-titled album in early '98 to critical acclaim, and went on to contribute tracks to the internationally renowned "Cafe Del Mar “and "Dope on Plastic" compilations. May 2002 saw the release of the Katalyst's debut album Manipulating Agent. The first release for INVADA Records, a label formed by himself and Geoff Barrow of Portishead fame, the album received much critical acclaim. Receiving an ARIA nomination, also winning "Best Producer" and "Best Album" at the 2002 Australian DMA’s. In 2007 Katalyst released the long awaited follow up album "What's Happening" enlisting guest vocalists from the US, the UK and Australia featuring J-Live, Stephanie McKay, Steve Spacek, Supernatural, Diverse, Katie Noonan, Mat McHugh (The Beautiful Girls), Adalita (Magic Dirt), Ru C.L, Hau (Koolism) and more. What's Happening was nominated for the prestigious J Award (Triple J) followed by another ARIA nomination in 2008. What's Happening was picked up for worldwide release by tastemaker label BBE Records in the UK. The collaboration with Steve Spacek on the album was in Giles Peterson's top 20 tracks for 2008. Katalyst went on to form a group with Spacek called Space Invadas. Their debut album Soul Fi received an ARIA nomination. Released in 2010 worldwide on INVADA / BBE Records. His third and final album in the Katalyst trilogy was entitled Deep Impressions and released in 2011 on INVADA / BBE. Guests include Stephanie McKay, Bootie Brown (Pharcyde), Buff 1, Steve Spacek, Coin Locker Kid, Kween G, Jane Doe, Hau and Mr Clean. Again the album was met with critical acclaim both in Australia and abroad. 2012 sees Katalyst taking a new direction musically, starting with the release of Quakers on Stones Throw Records. The album was released to critical acclaim in March 2012 and hailed by many as an instant classic.